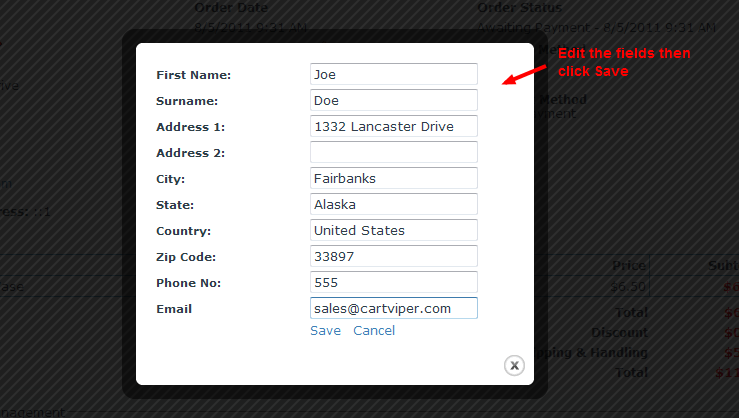 Another new feature we’ve added to Cart Viper is the ability to edit the customer’s address and email details on an order that has been placed. So the next time a customer enters the wrong email you can easily change this on their order. Previous version of Cart Viper only allowed editing of the address now we’ve added the email address as an editable field. 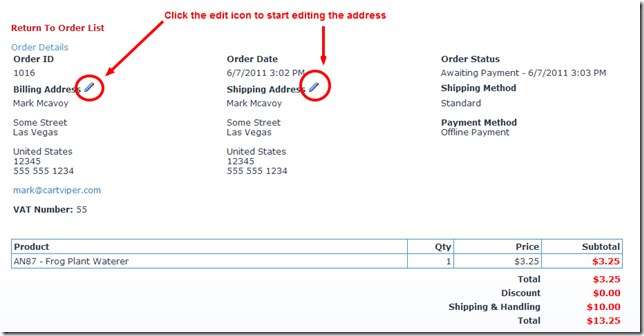 Simply locate the order in the Store Admin > Orders page and view the details. 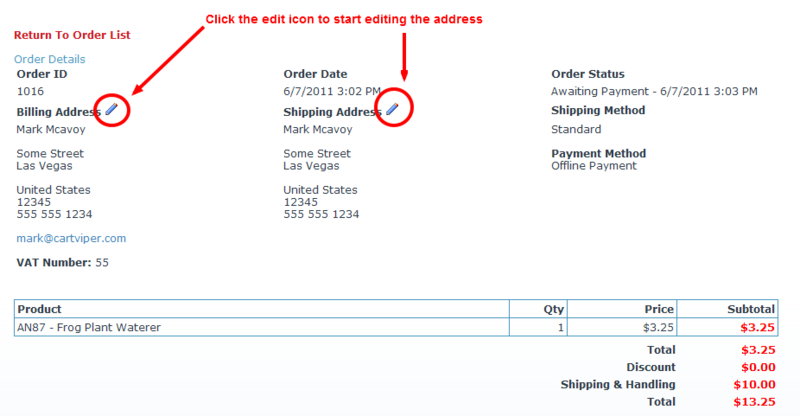 Beside the address is the standard DotNetNuke edit icon which brings up the dialog to edit the address and email details.